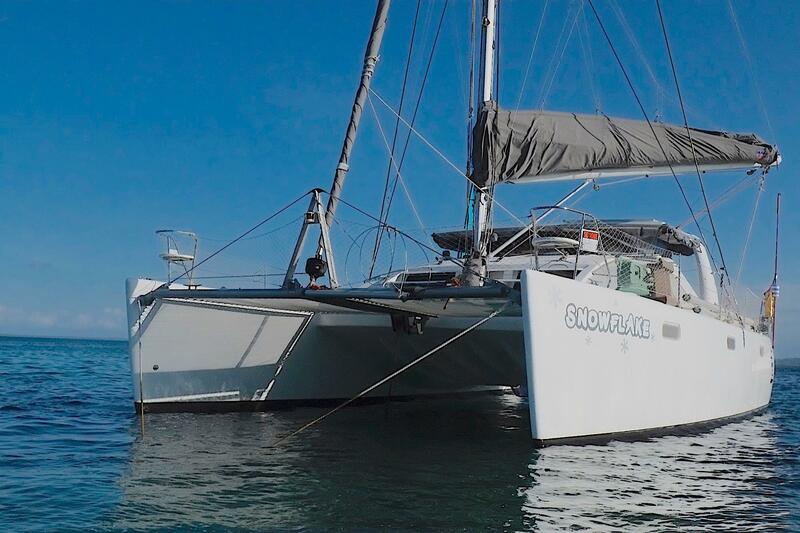 'Snowflake' is a 2014 Admiral 40 catamaran built by Celtic Yachts (Previously Admiral Yachts) in South Africa, where she was launched in 2014. 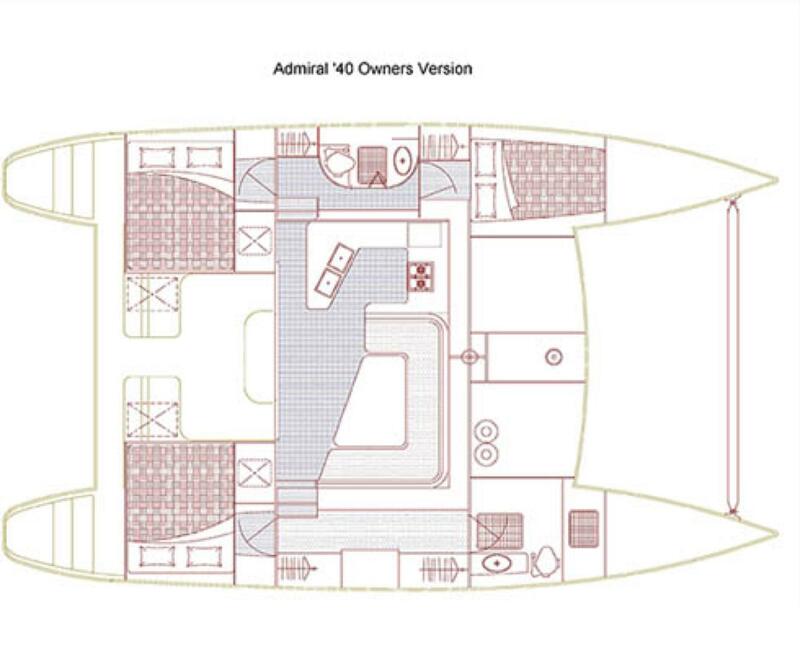 Designed by Angelo Lavranos, the Admiral 40 Catamaran is a well respected and sought after design. 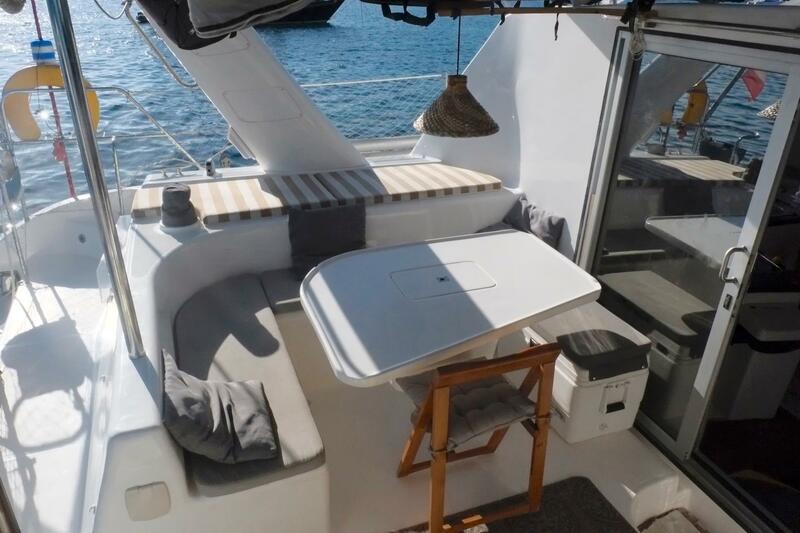 Her wide beam and streamlined hulls offer excellent sailing capability, while her wide and open plan layout offers space and comfort while cruising. 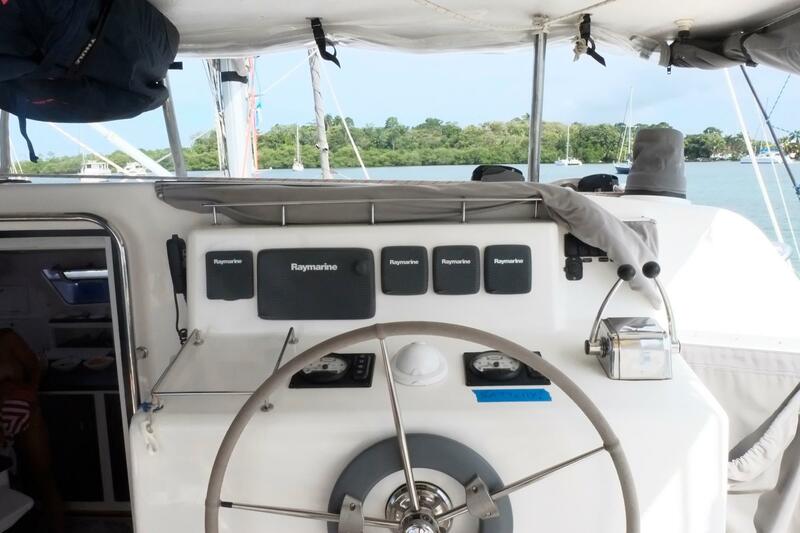 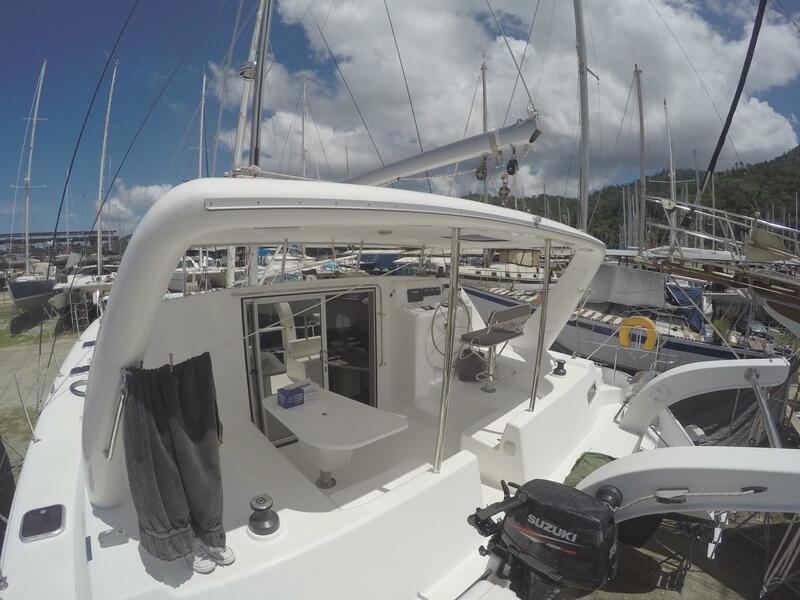 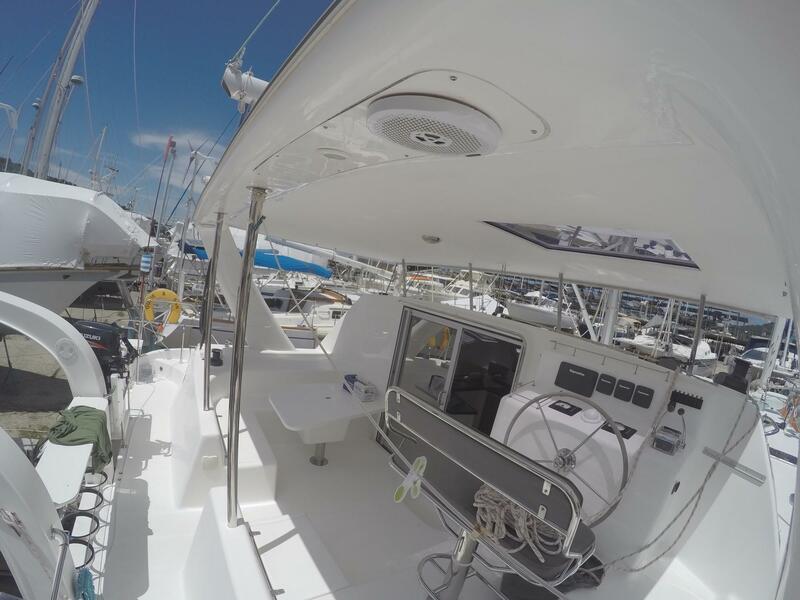 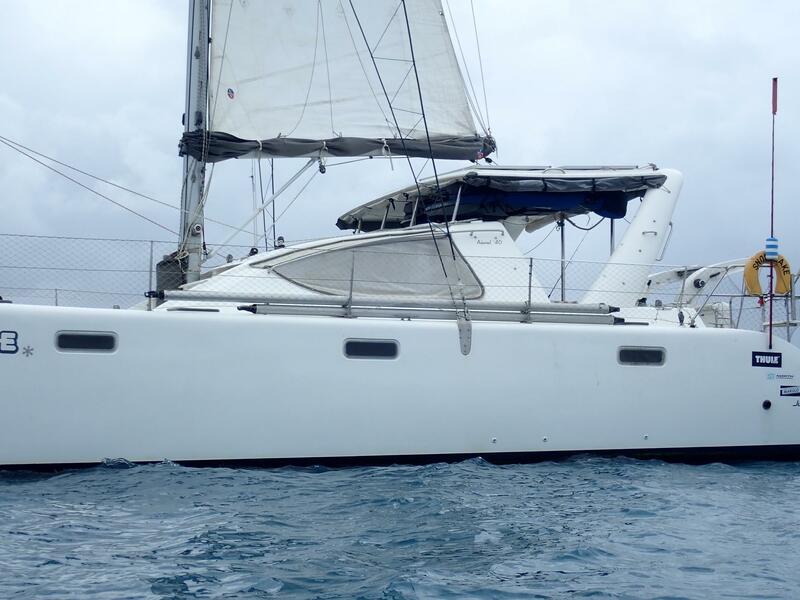 This Admiral 40 was kept by her first owner in a marina in South Africa and used as a weekend boat (she was never chartered) until he crossed the Atlantic in 2017 and sailed to Trinidad. 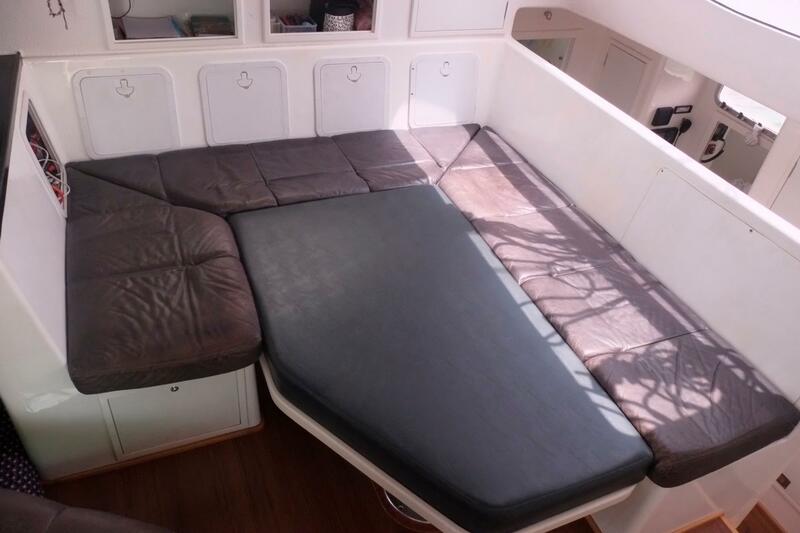 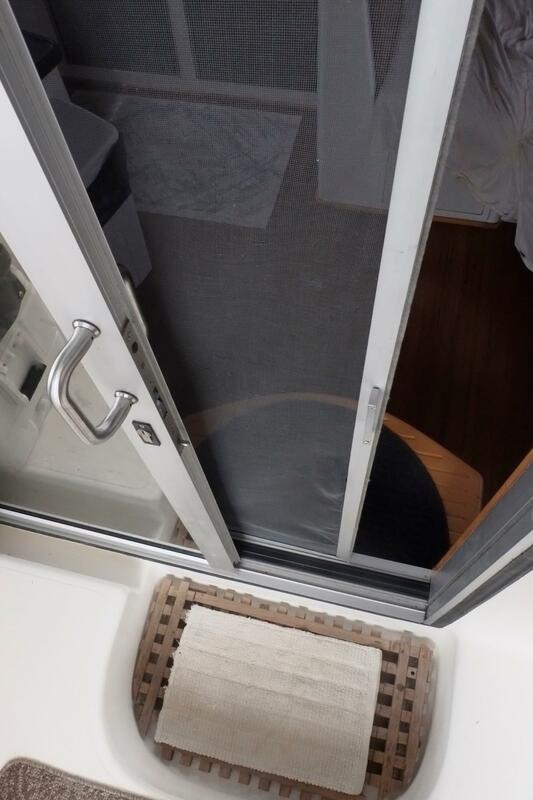 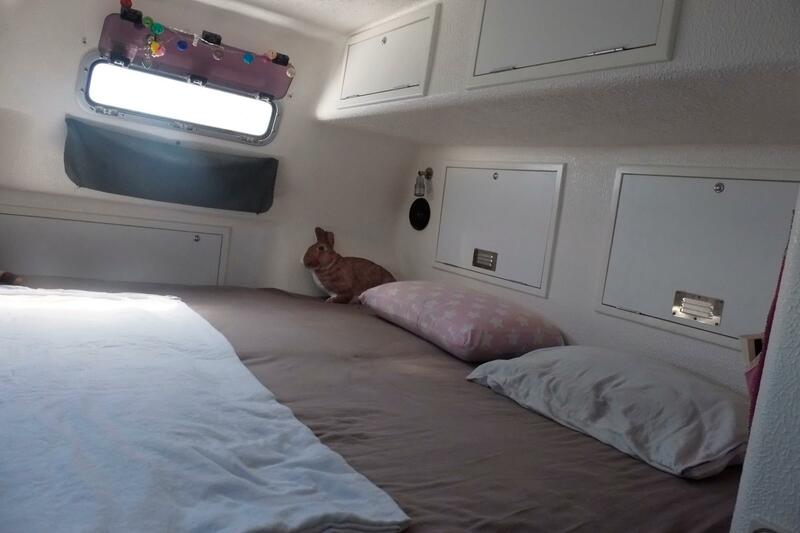 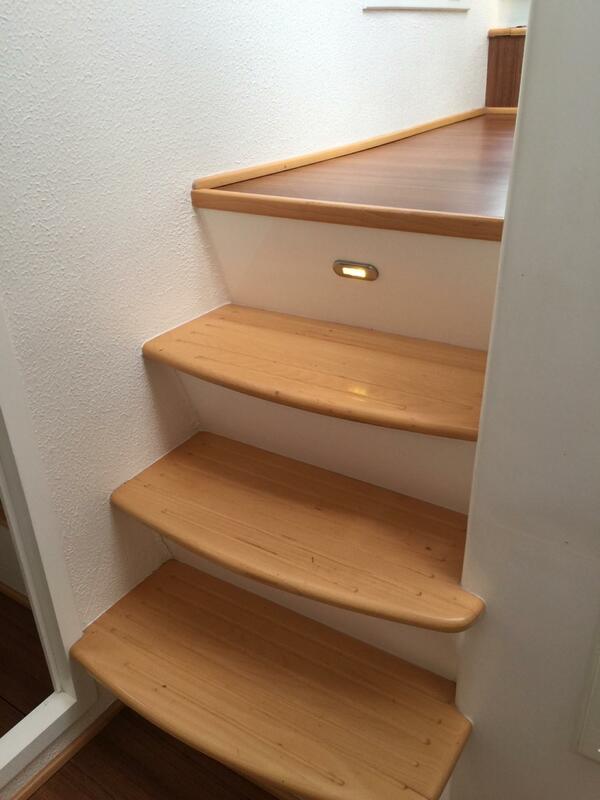 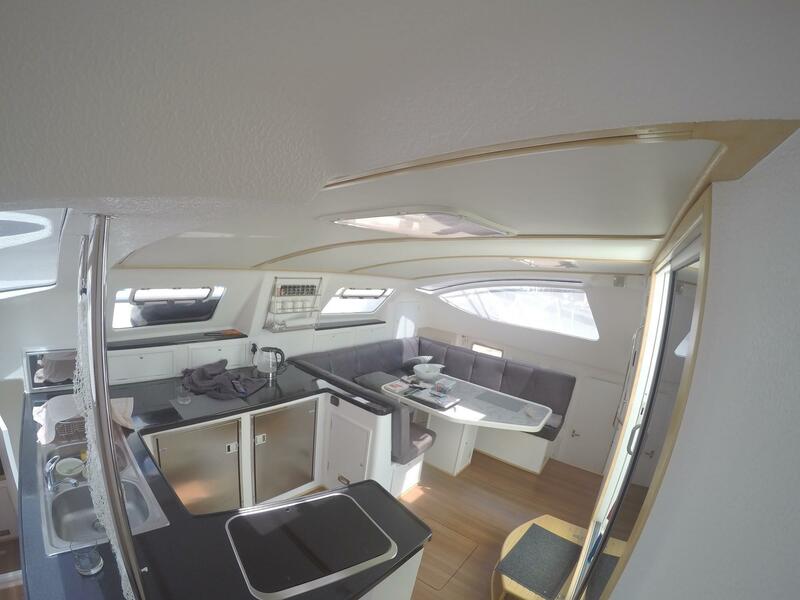 Here the current owner (a former freeride world champion in snowboarding) bought the boat and equipped her for long term and long distance cruising. 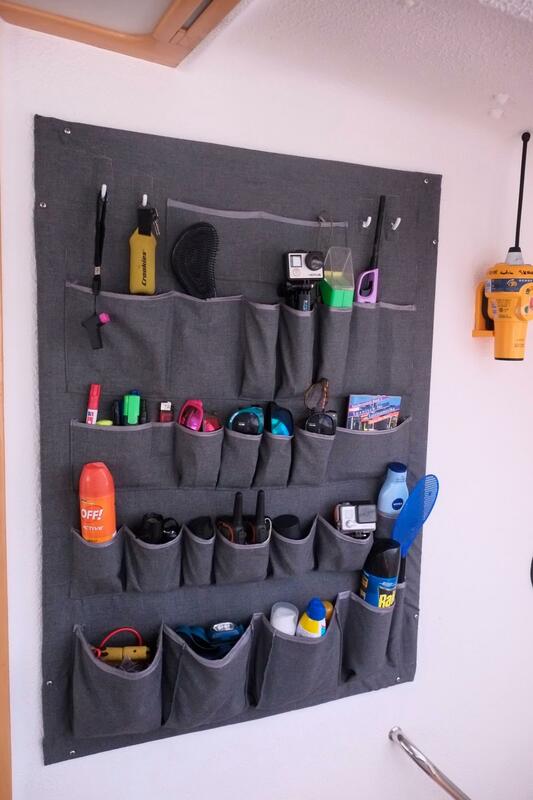 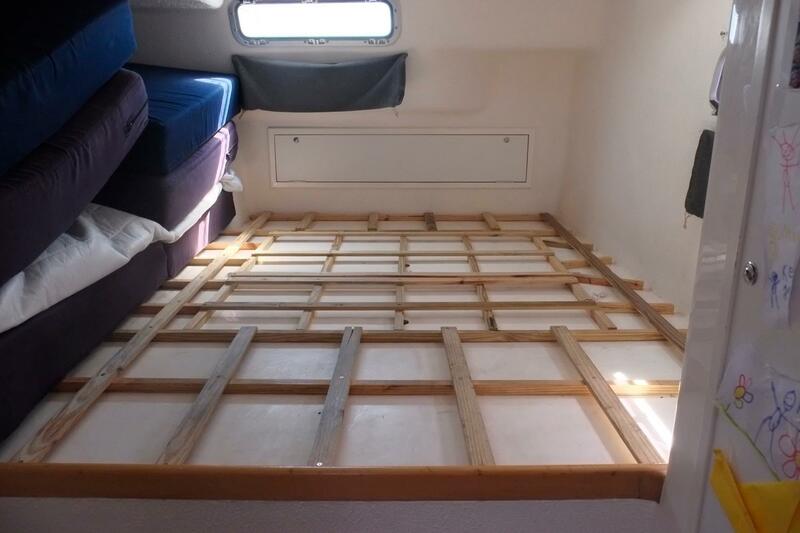 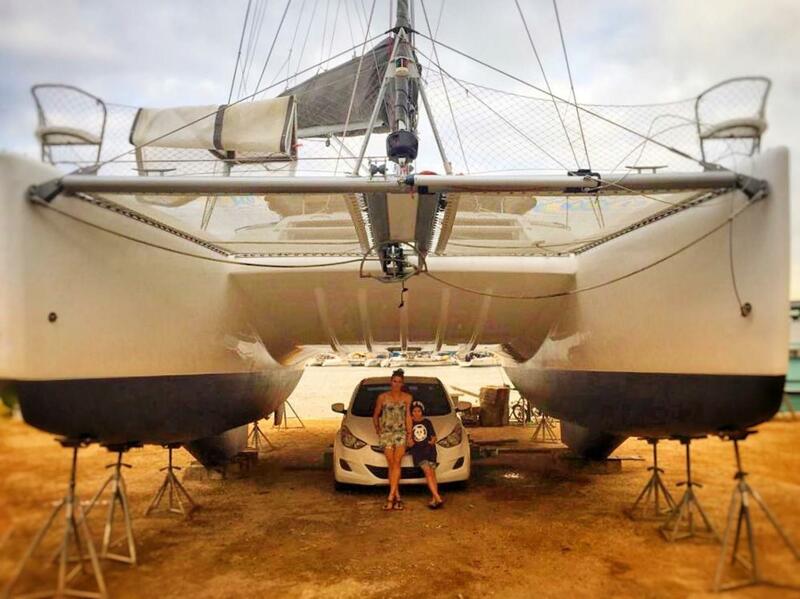 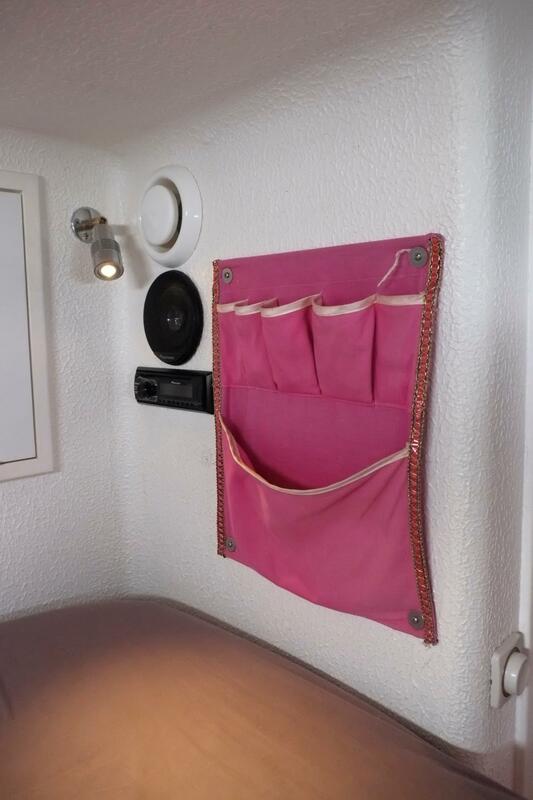 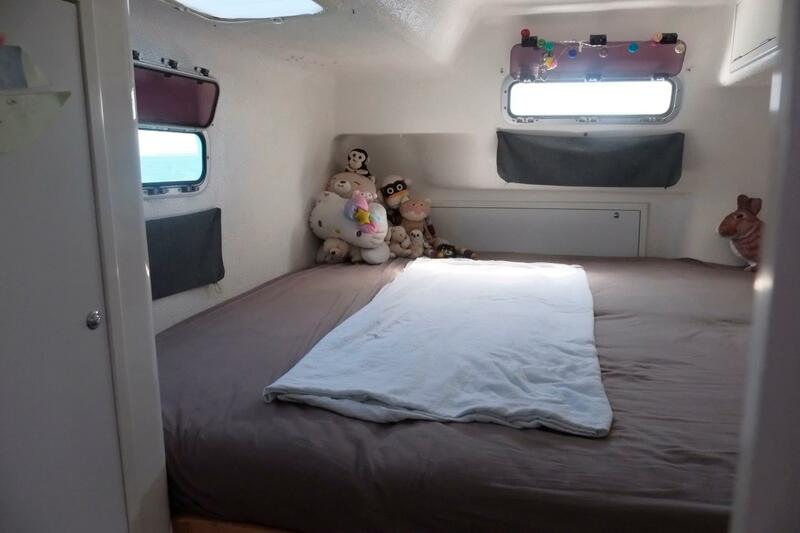 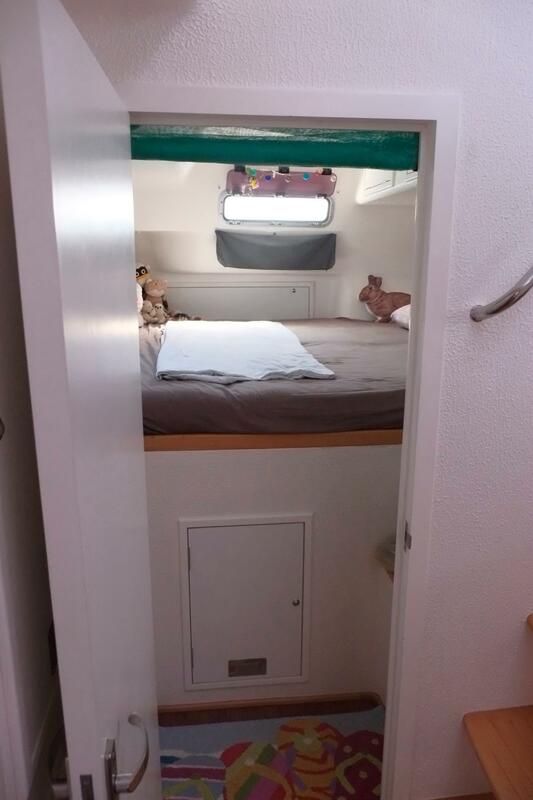 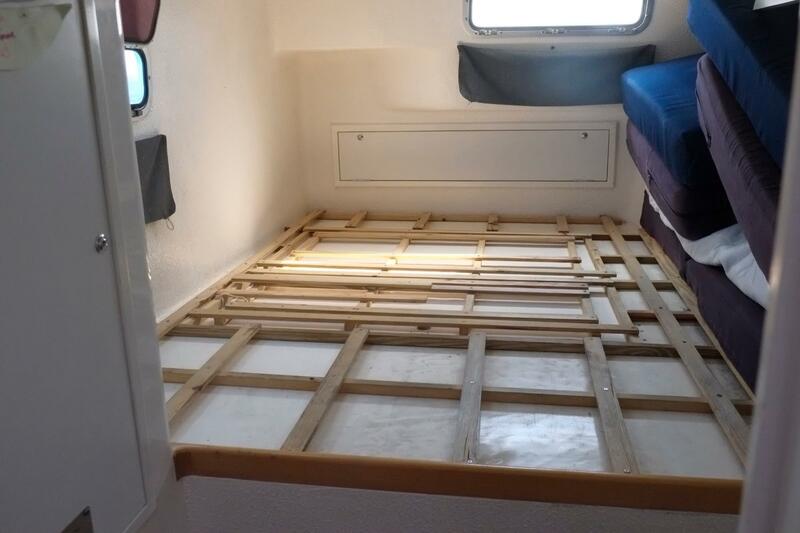 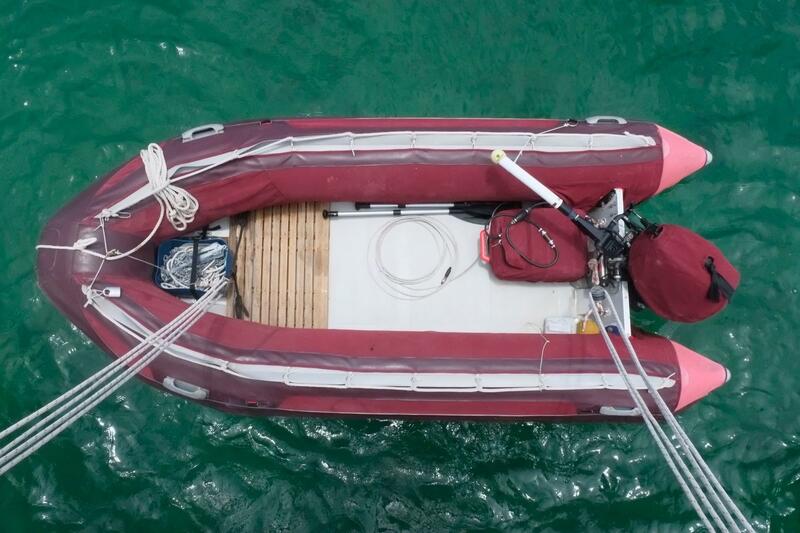 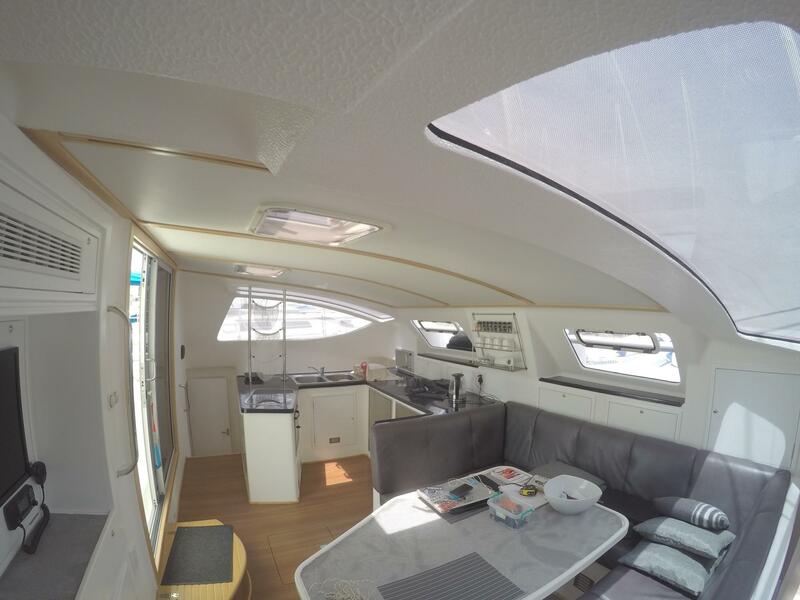 In 2018 they invested 6 months of work and over € 50.000 into the the 4 year old boat to make her ready for long term family cruising in the South Pacific. 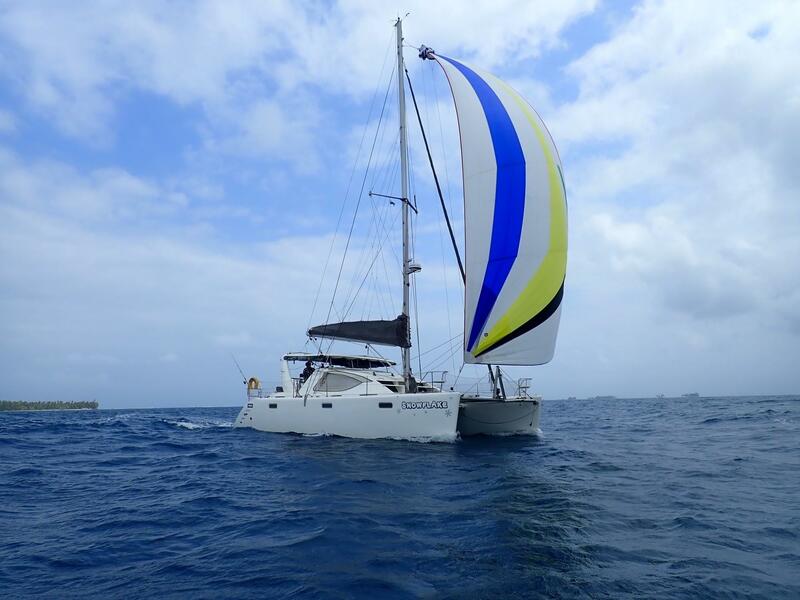 Subsequently, the family then sailed her from Trinidad through the Southern Caribbean to Panama. 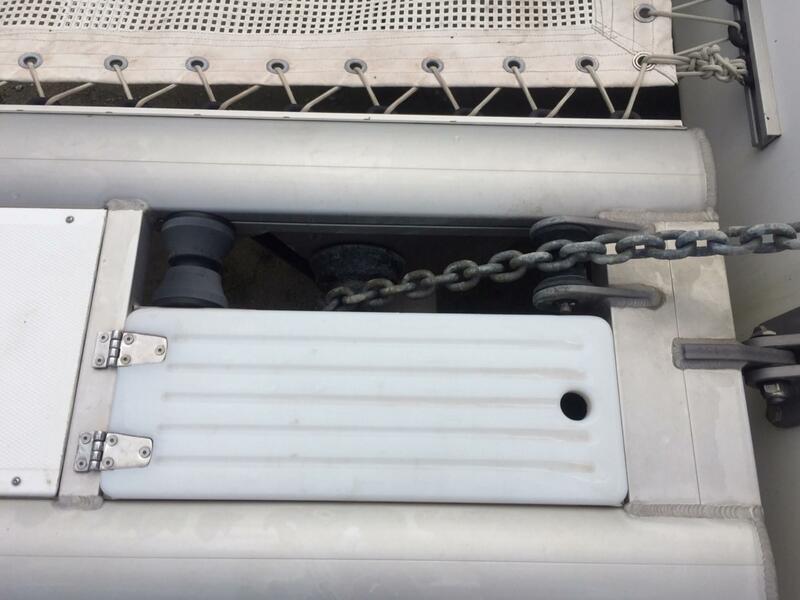 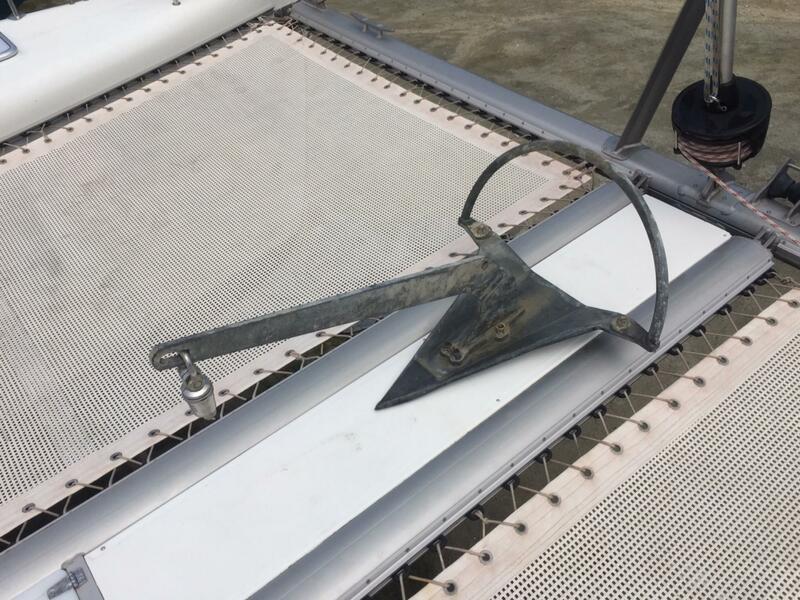 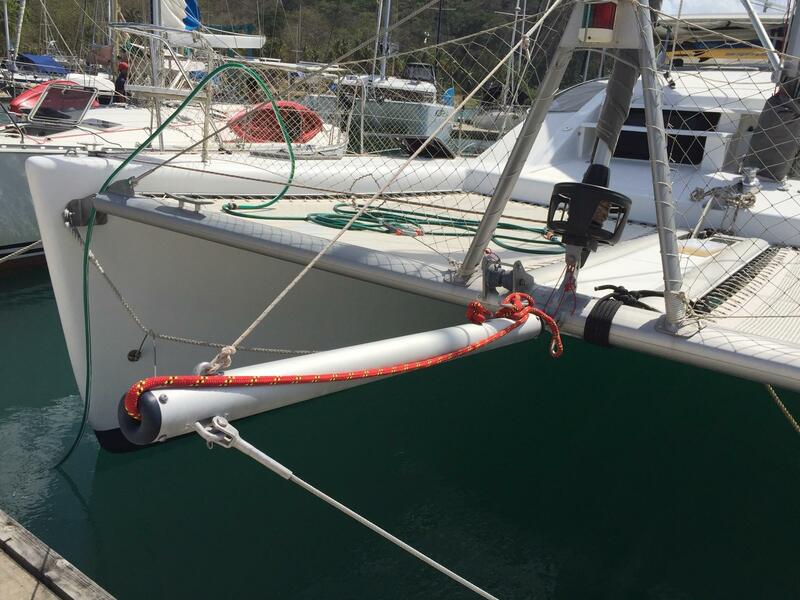 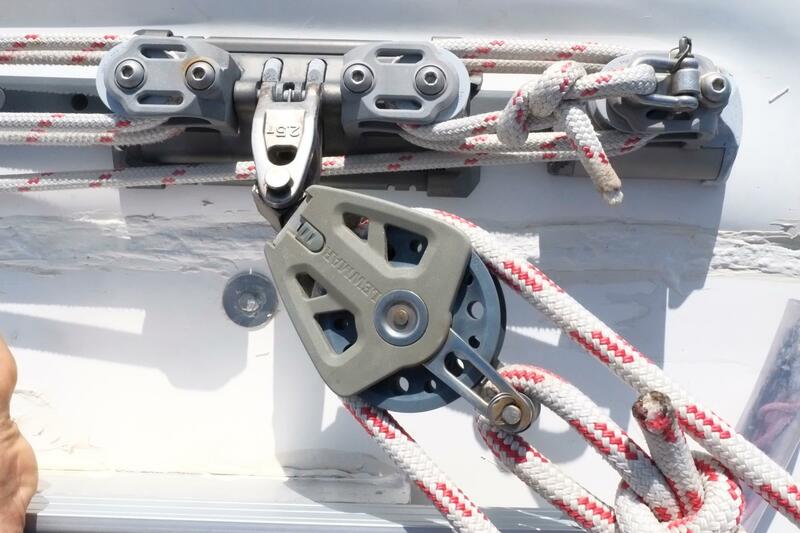 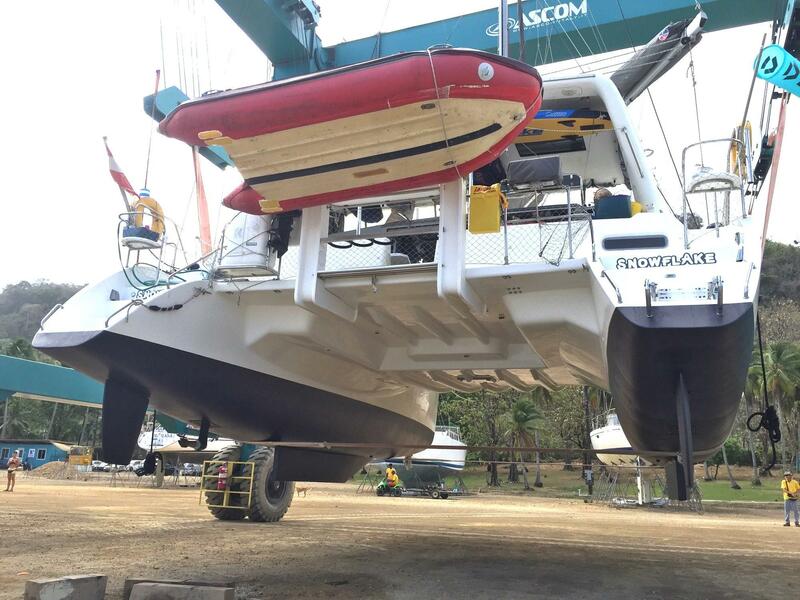 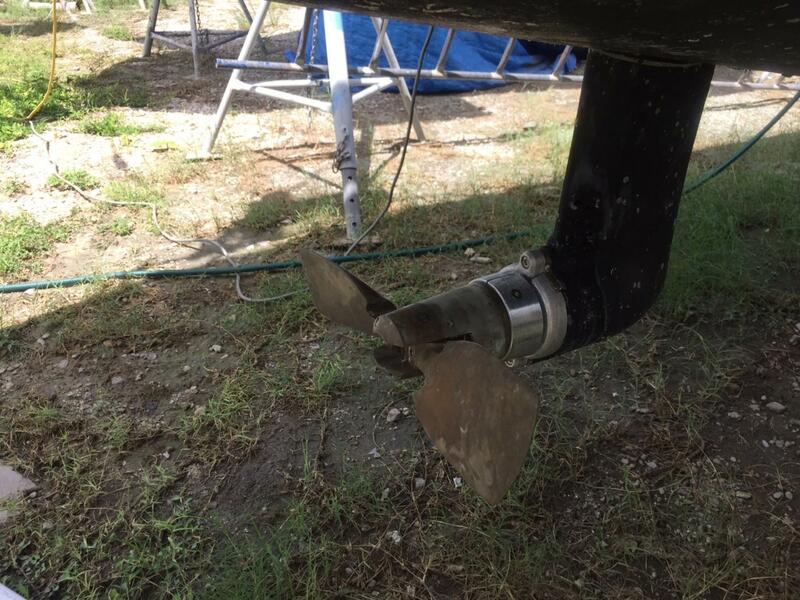 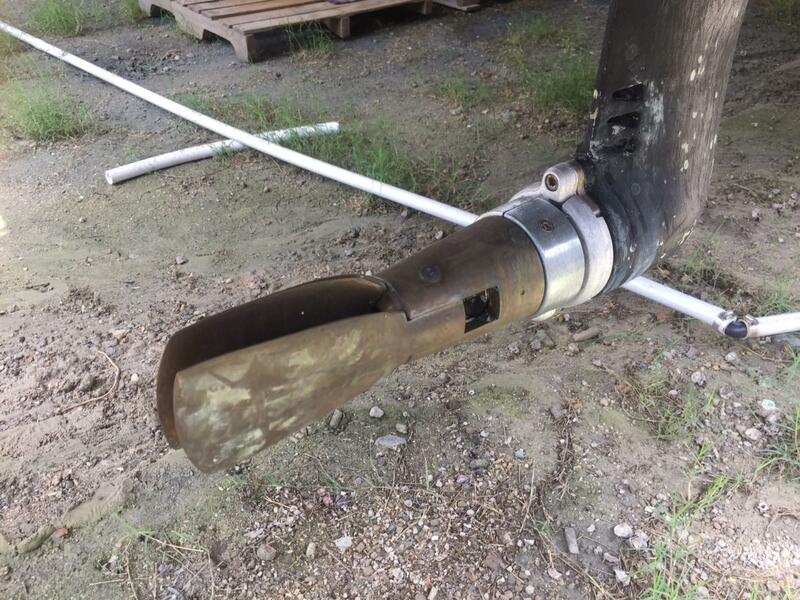 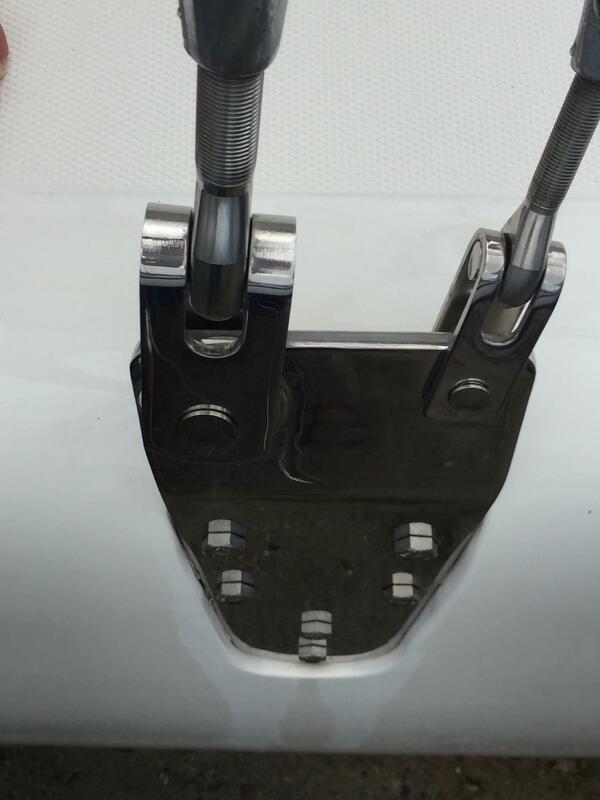 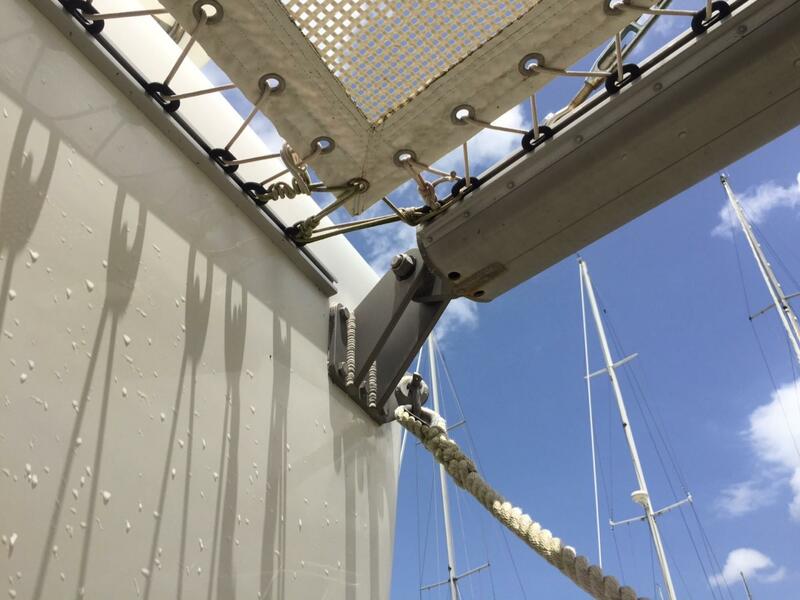 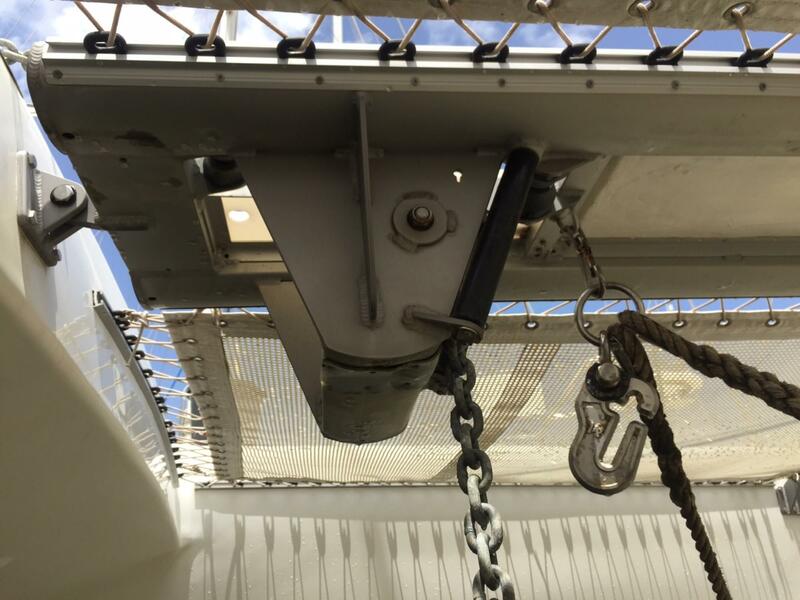 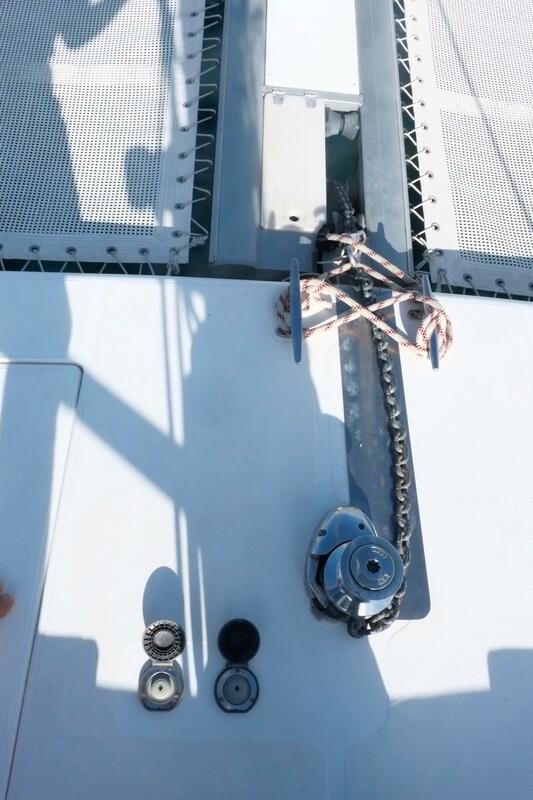 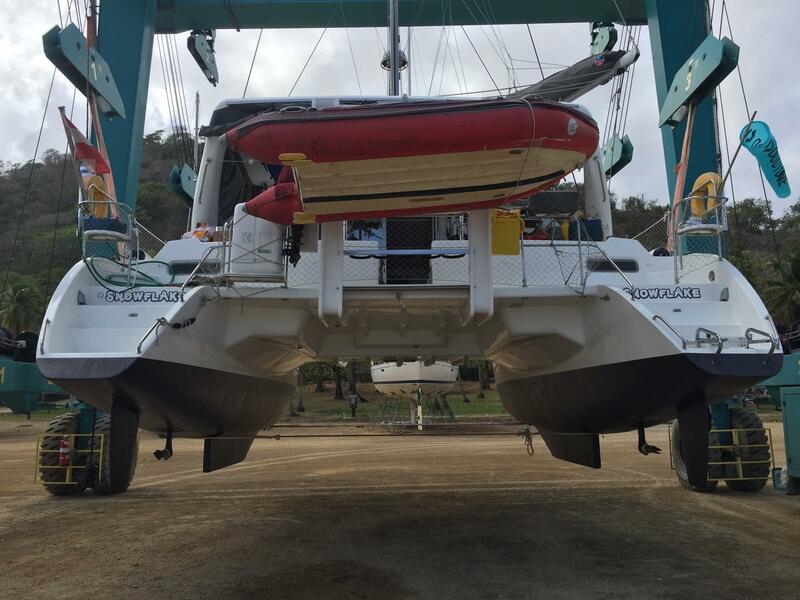 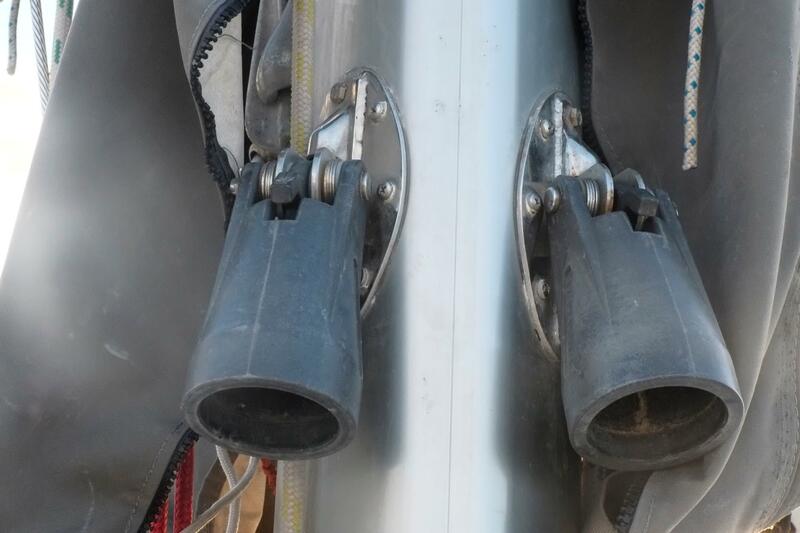 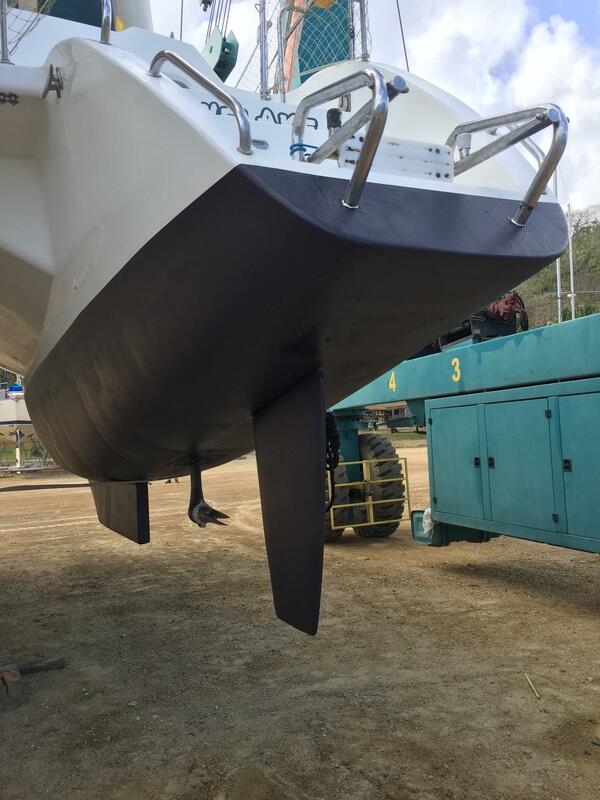 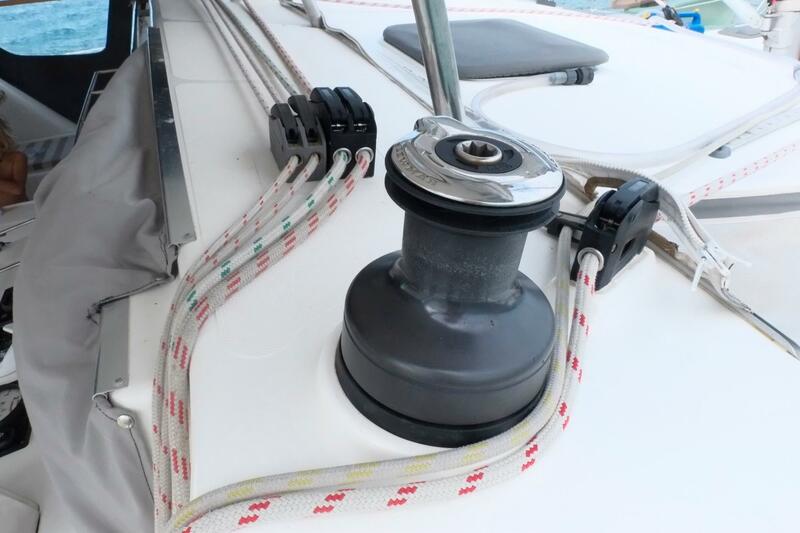 The boat was last hauled out in March 2019 in Linton Bay Marina in Panama for a new anti-fouling. 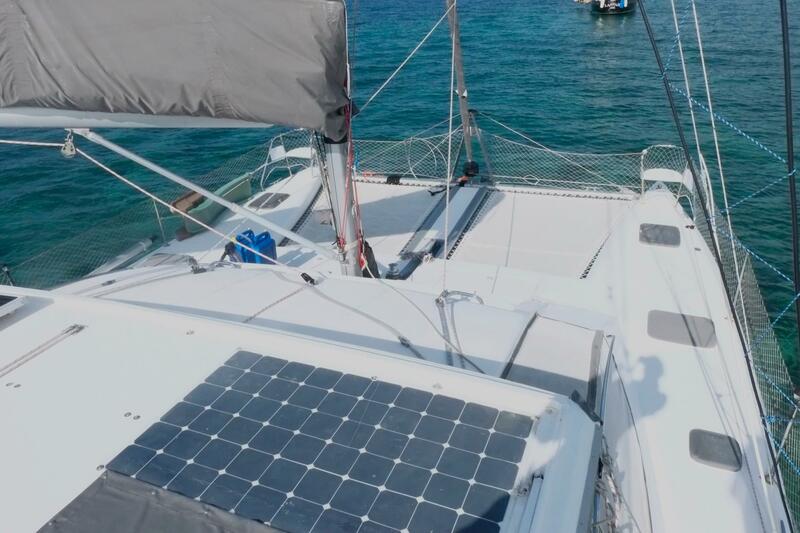 Due to a change in family circumstances the owners have sadly had to postpone their planned circumnavigation and return home to Austria. 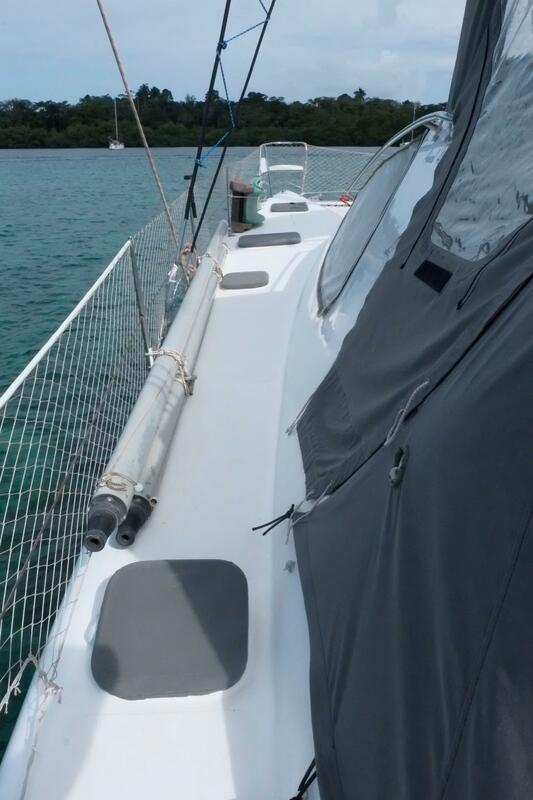 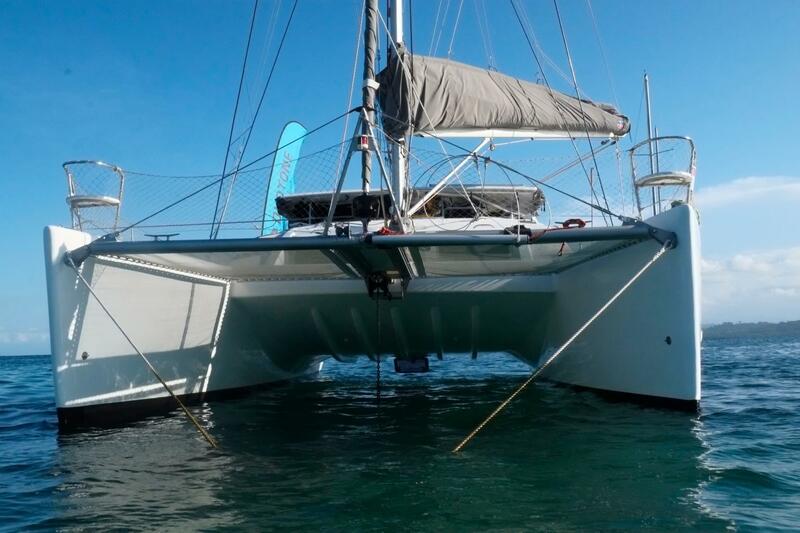 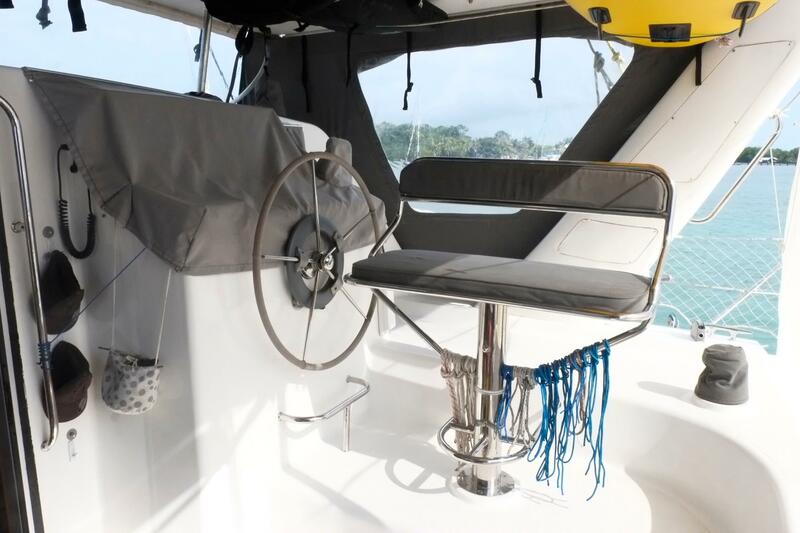 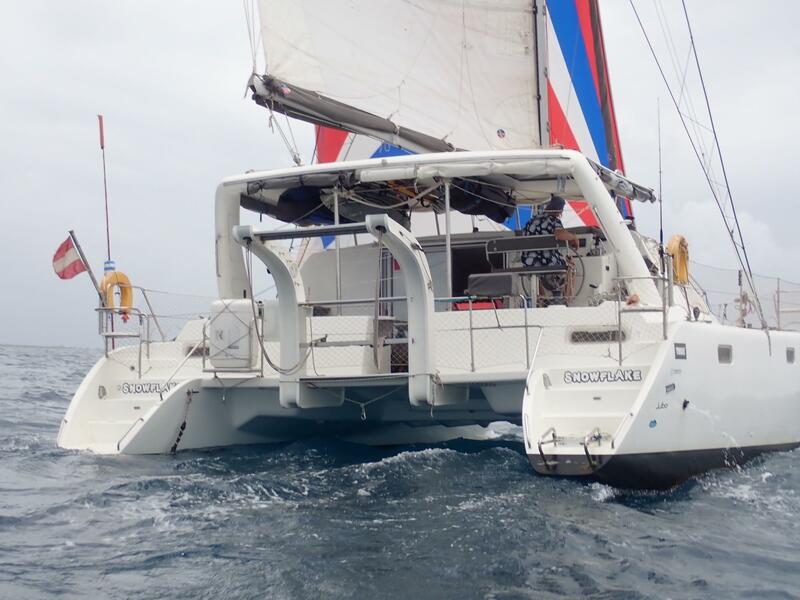 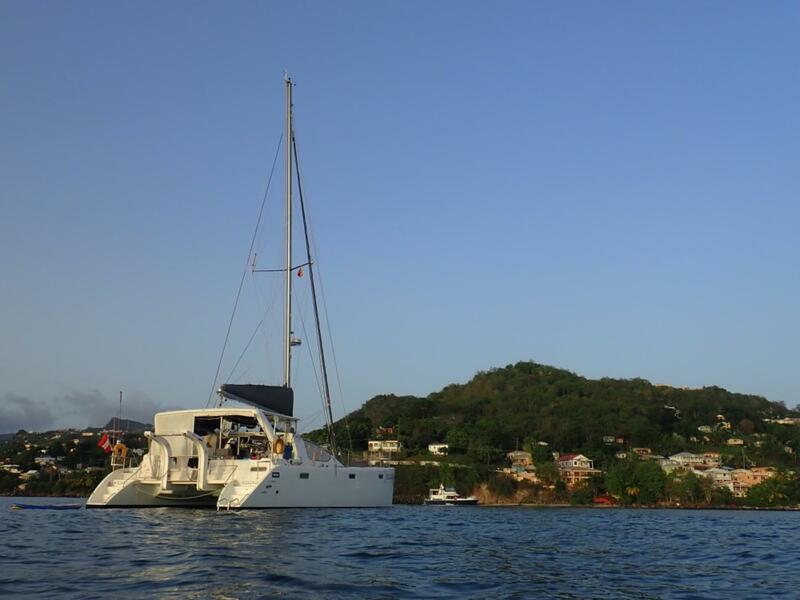 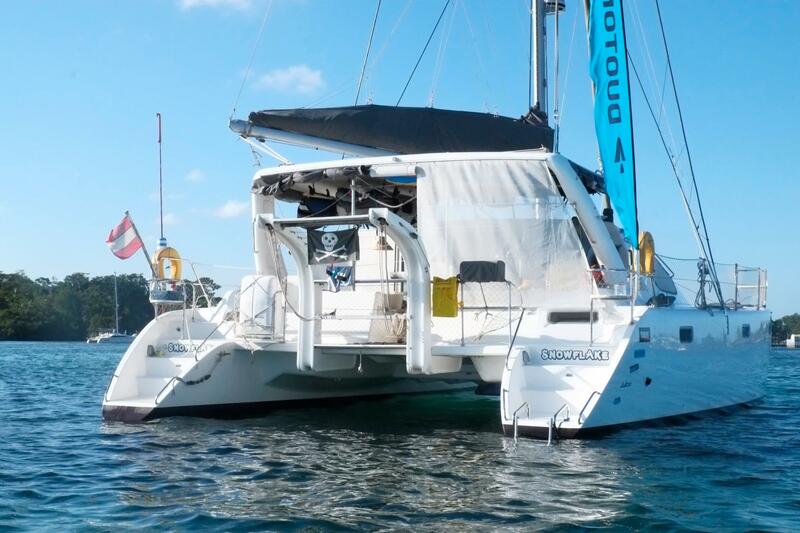 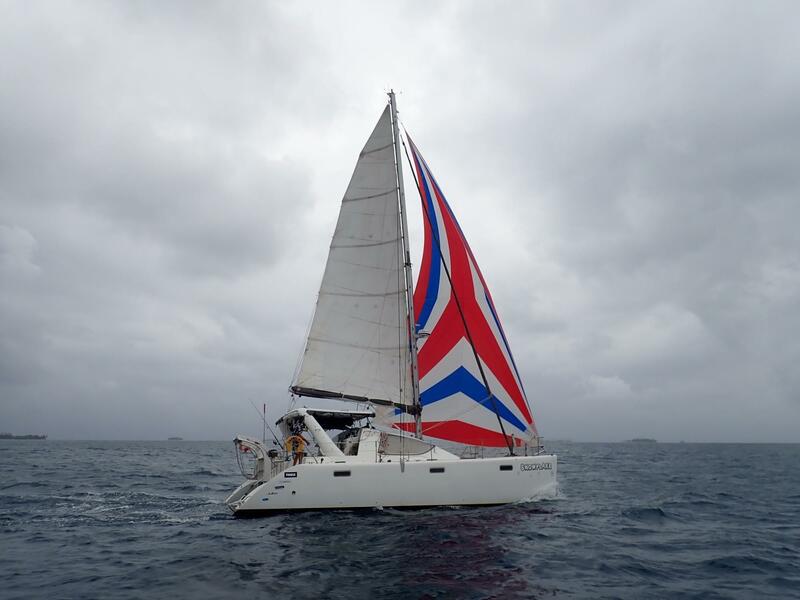 As such Snowflake is now on the market, located in Bocas del Toro, Panama. 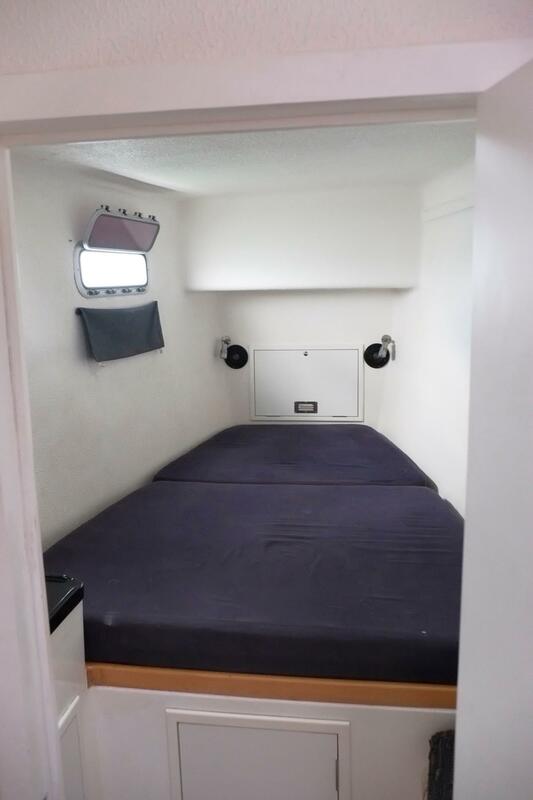 She is available for viewing immediately. 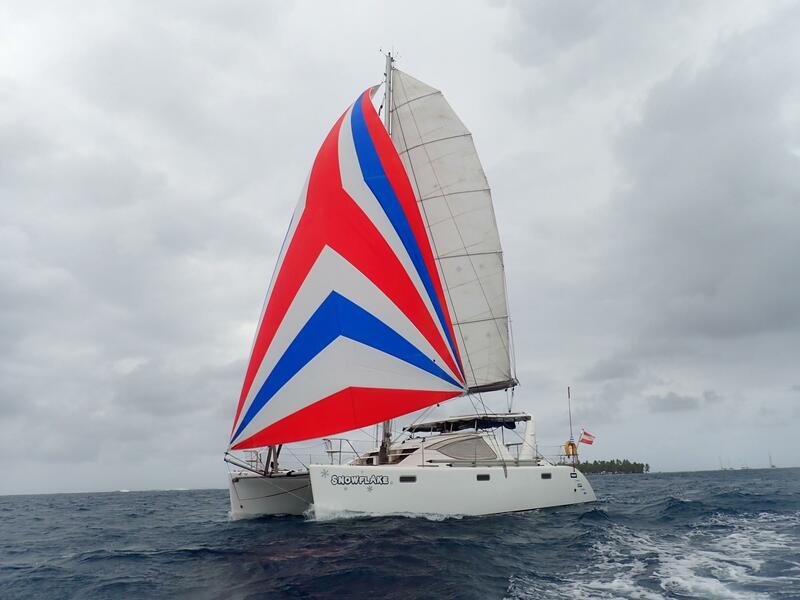 In 2018 they invested 6 months of work and over € 50.000 into the the 4 year old boat to make her ready for long term family cruising in the South Pacific. 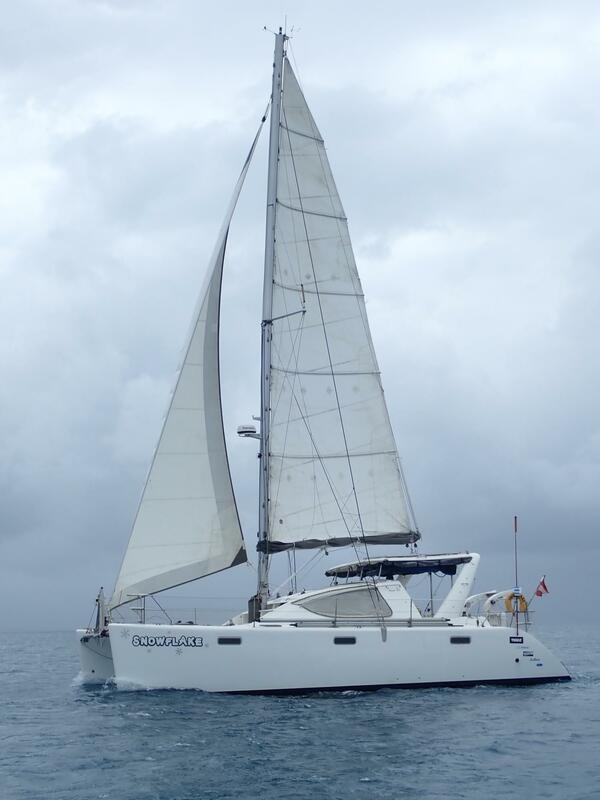 Subsequently, the family then sailed her from Trinidad through the Southern Caribbean to Panama. 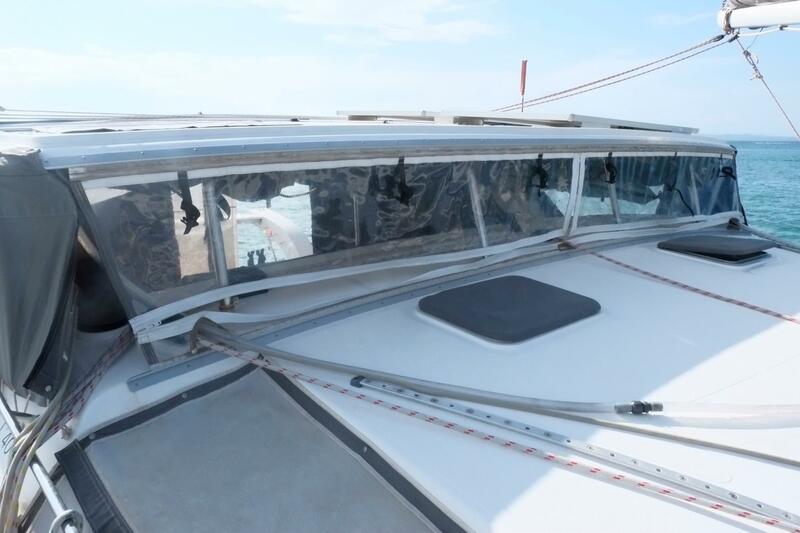 The boat was last hauled out in March 2019 in Linton Bay Marina in Panama for a new antifouling. 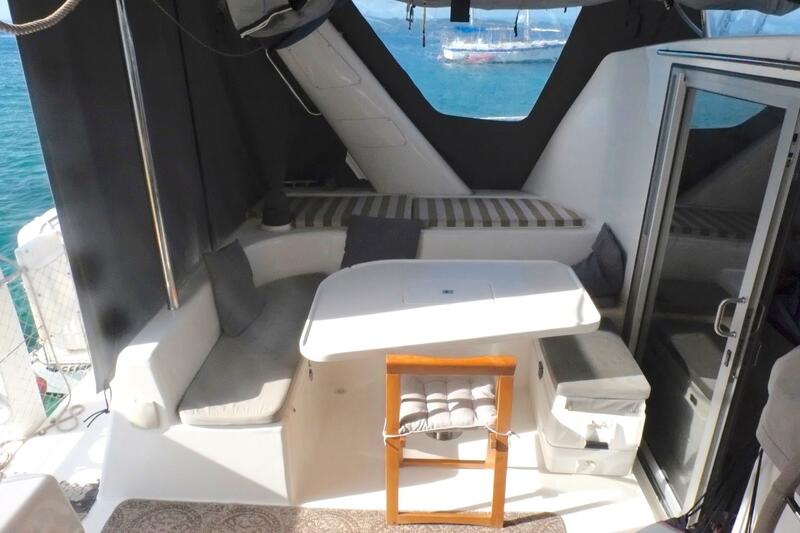 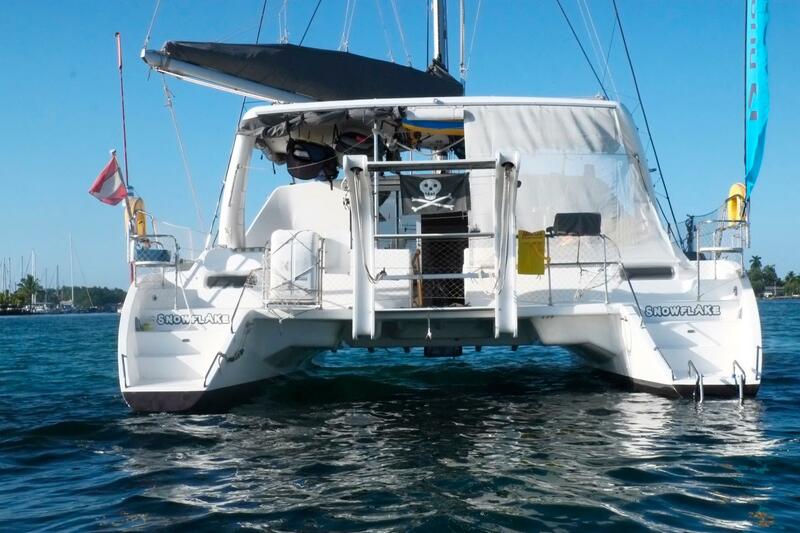 This Admiral 40 Executive Catamaran is powered by two Yanmar 3YM30 29hp diesel engines with Yanmar SD-20 saildrives and Gori 2-blade folding propellers. 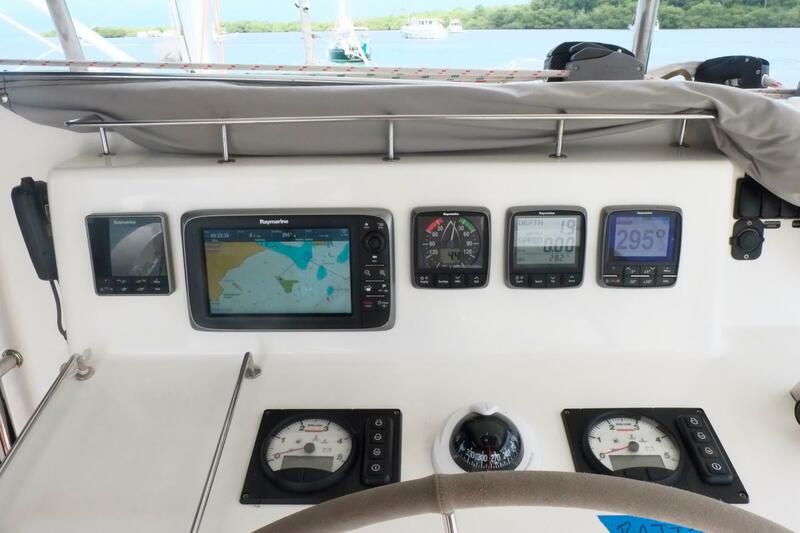 Engine hours are currently, Port: 1880, Starboard:1750. 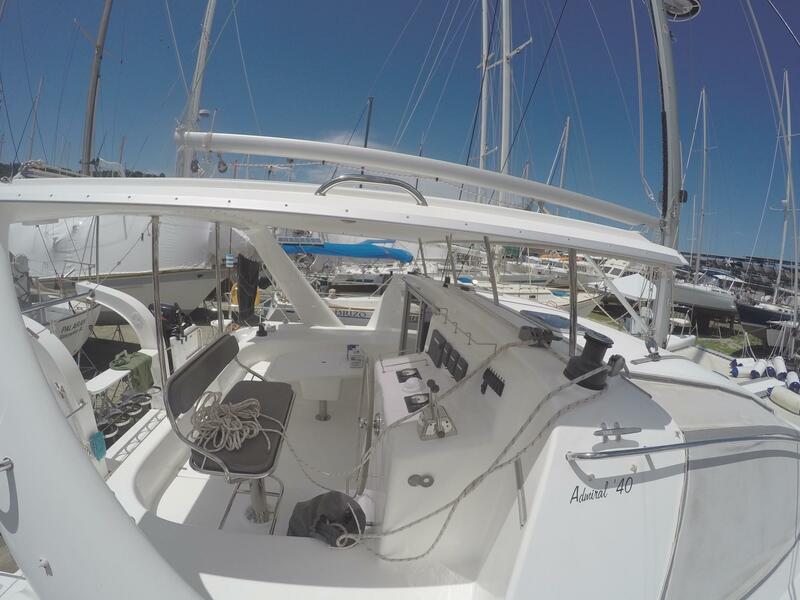 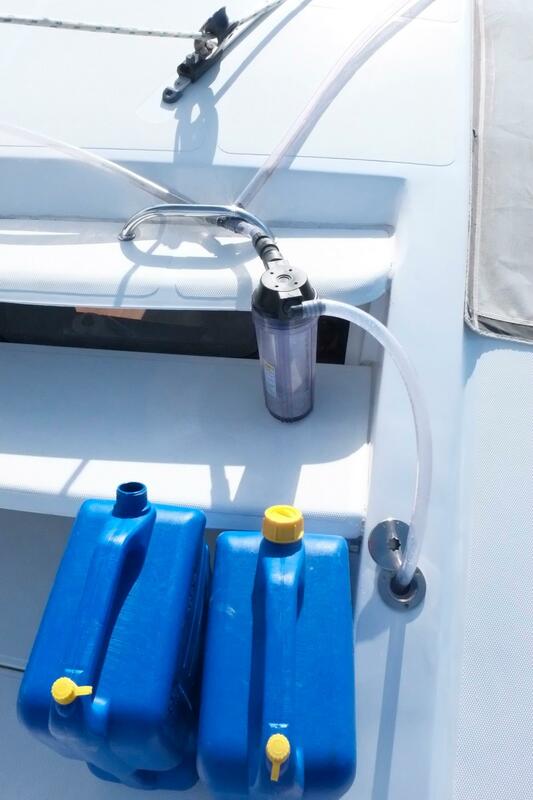 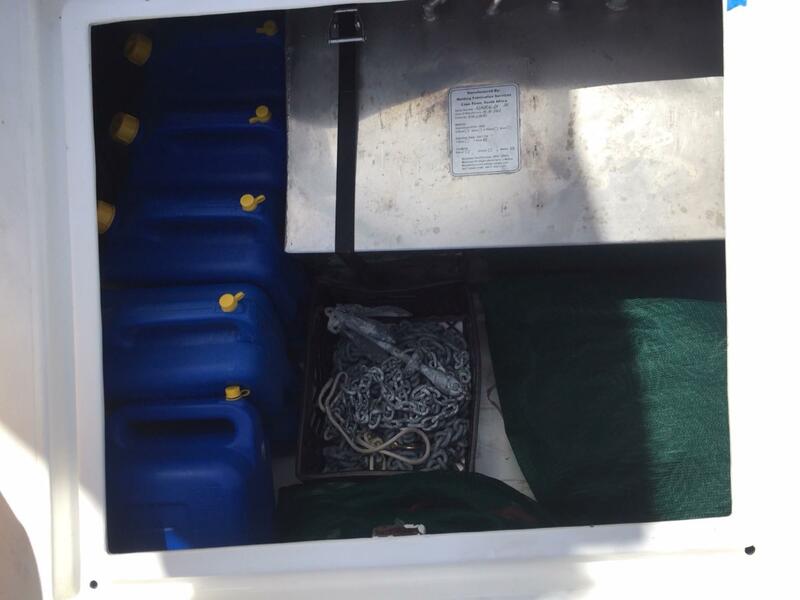 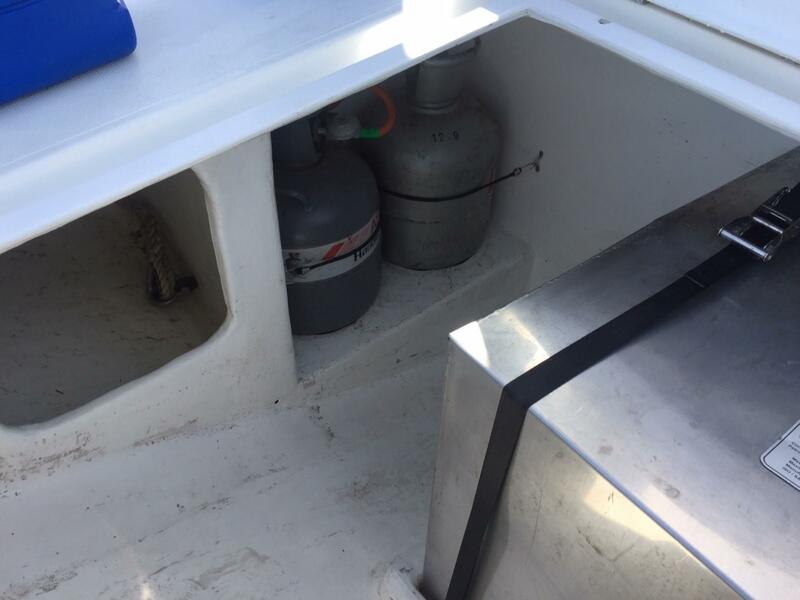 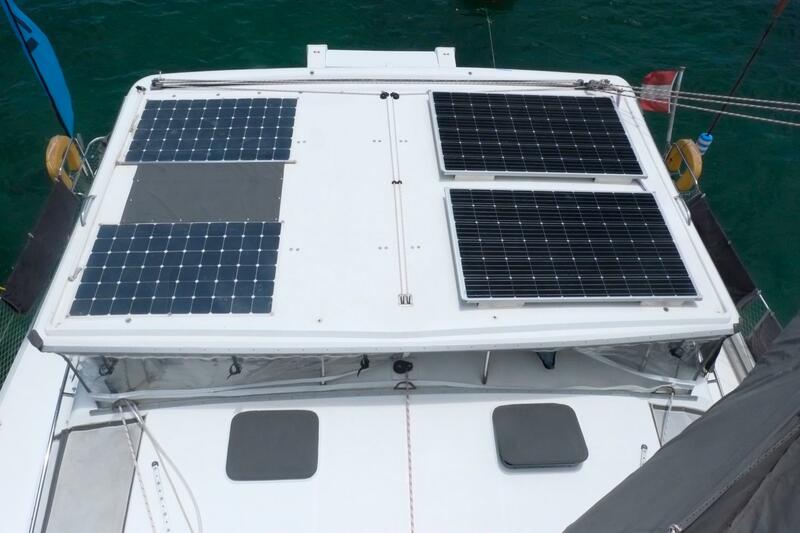 This Admiral 40 has a fuel capacity of 380l (100 US gal) in stainless steel tanks. 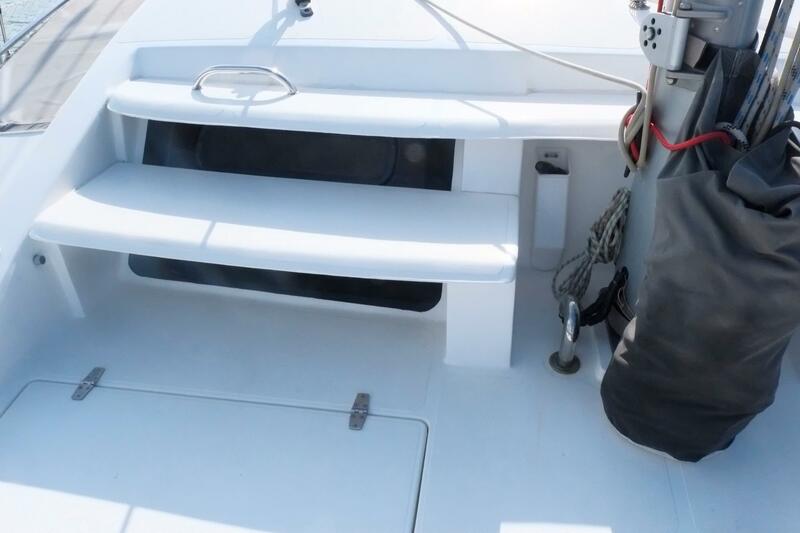 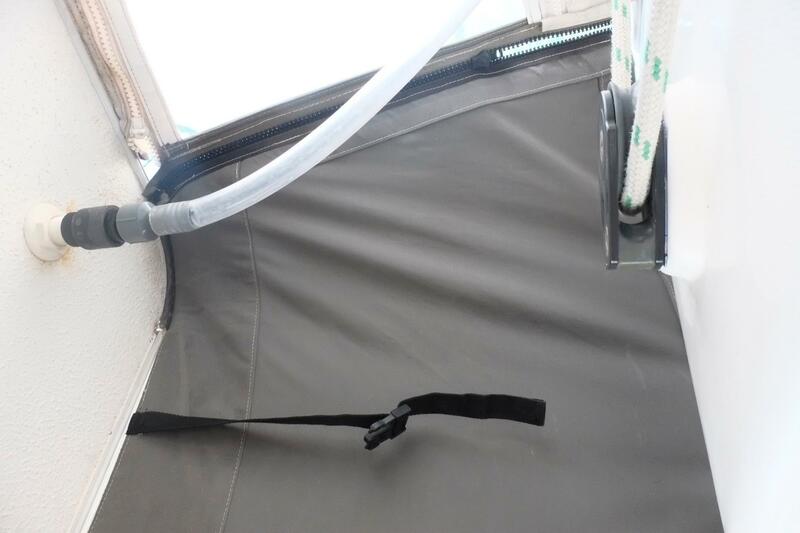 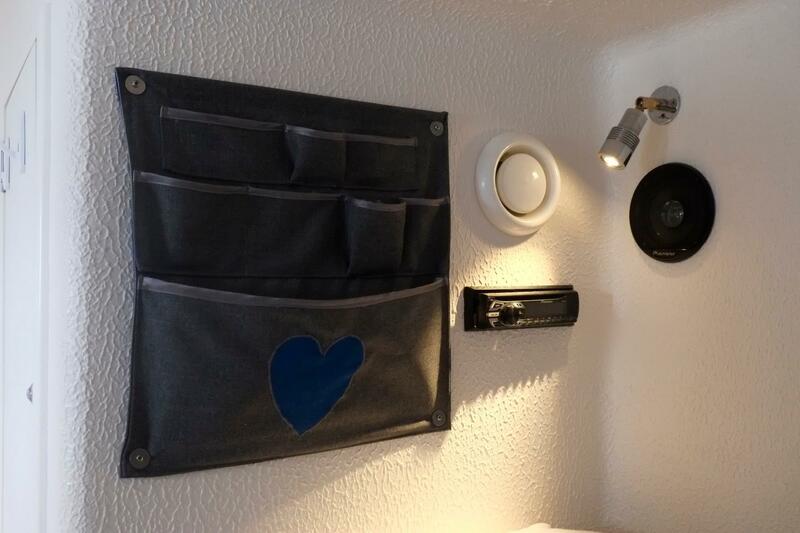 12 volt outlet at helm to connect ipad, outside searchlight etc. 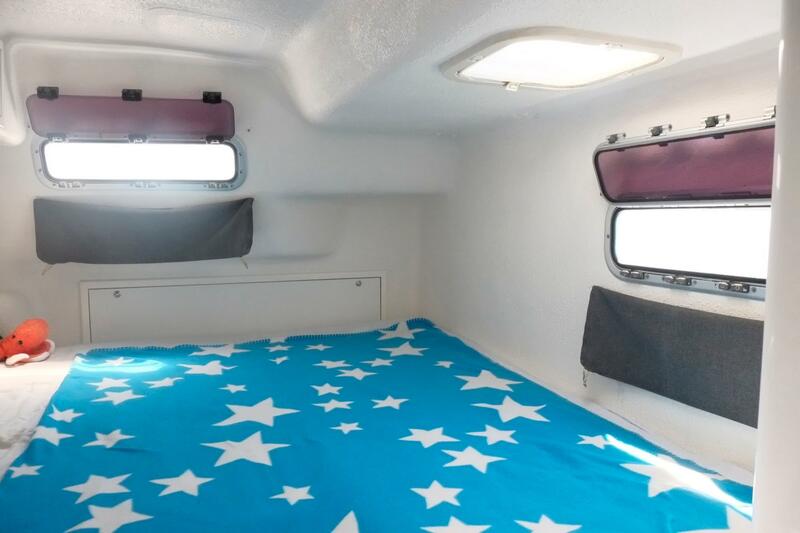 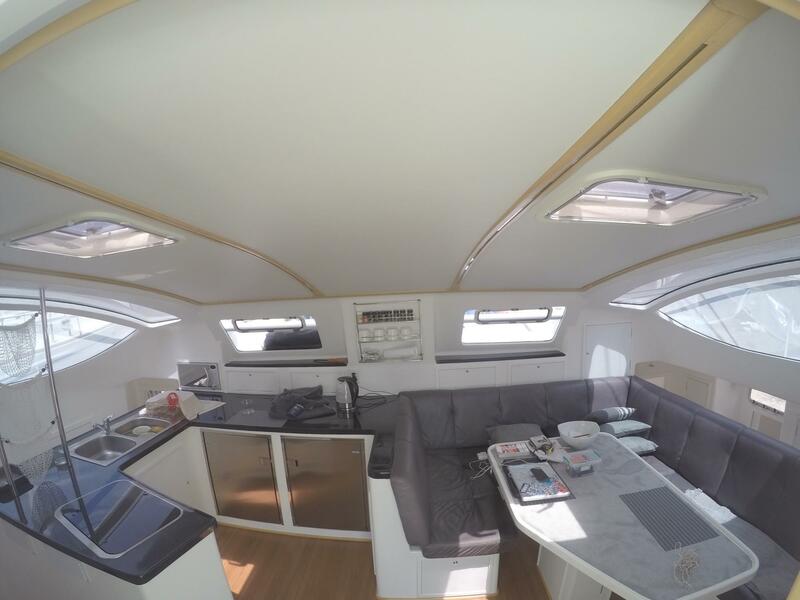 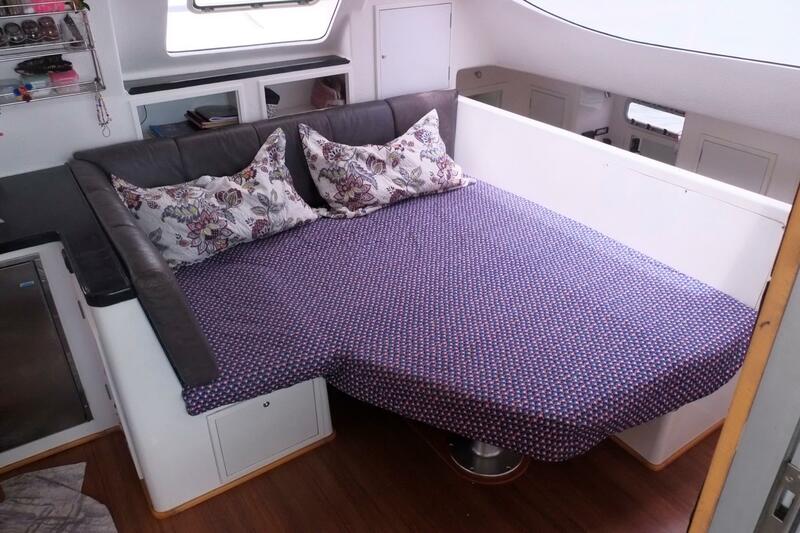 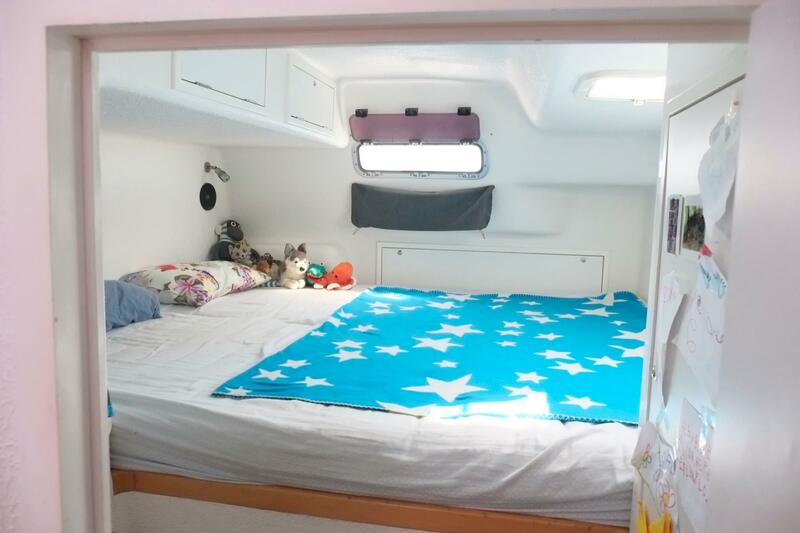 The raised saloon and galley area of this Admiral 40 connects both hulls and provides a spacious, open-plan area for relaxing and entertaining. 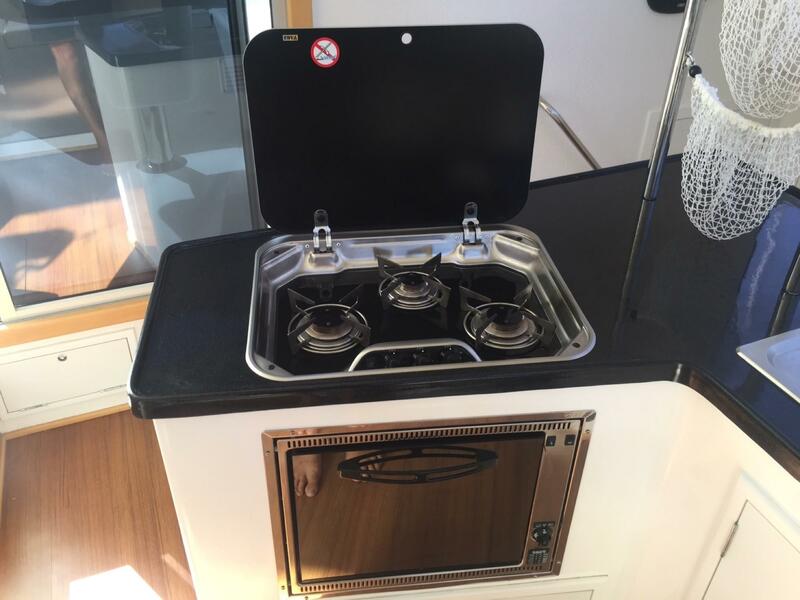 Lots of pots, pans, cutlery, dishes, baking equipment etc. 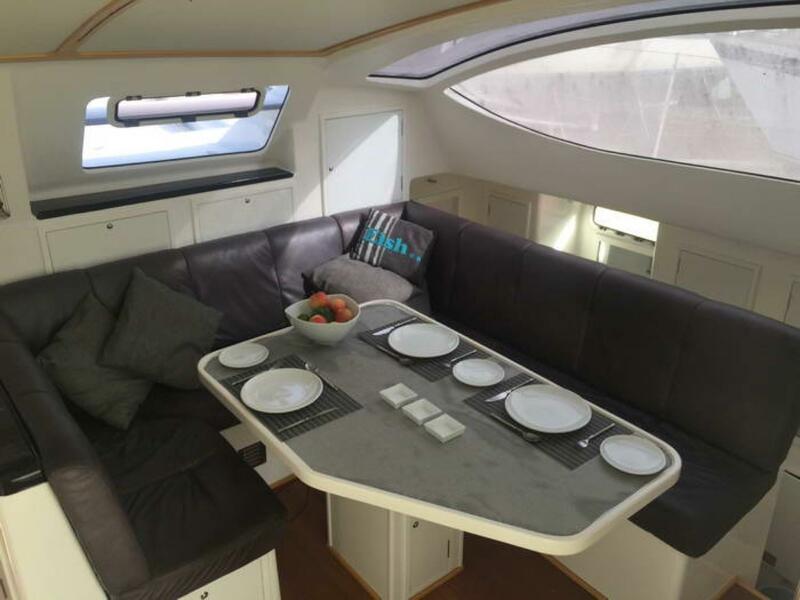 UKW Sinotec Hifi stereo in saloon with USB -in and audio-in for iphone etc. 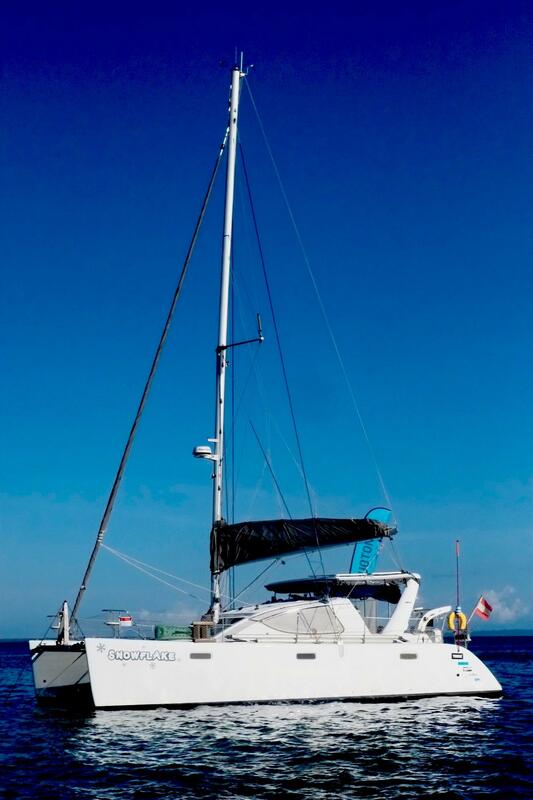 This boat is lying in Bocas del Toro, Panama.